There are no hints on Tyrone’s website or their other online platforms about when they plan to name their team but I’d say they’ll probably hold off until tomorrow night at this stage too. Here are two things to keep you going in the meantime. The first is from GAA Rankings, a new online initiative that aims to brings some statistical rigour to how counties are ranked and which plans to update its rankings on a weekly basis (we’re in second spot this week, by the way). They’ve done a rankings-influenced preview of the coming weekend’s action, which is worth a look – here. The second thing is connected with the site’s eighth birthday the other day. It was on this very date back in 2007 that I penned my first ever match report for the site – here. Things were a bit more relaxed back then, as I didn’t summon the energy to do this until the day after we’d beaten Kerry in the opening League fixture that year. I’d say the report generated maybe three or four hits – I didn’t put the counter on the site until that April and the total for the first day after I’d done so was 18 page views. Last Sunday there were 10,114. Onwards and upwards and all that. 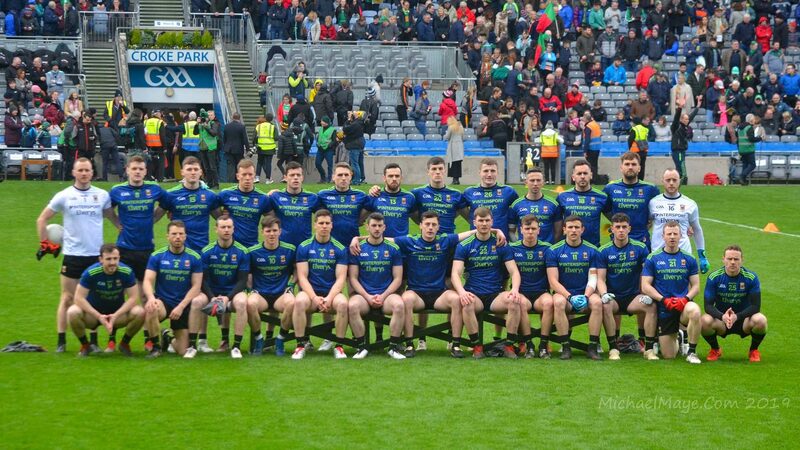 Great to read Willie Joe, your very comprehensive first match report from 2007, hard to believe it’s all of eight years ago, how time flies, ’twas fitting too that it was the old enemy Kerry we were playing. One would expect those lads to be past their sell-by date by now, so how interesting it was to see a few fellas still going strong today. The evergreen Alan Dillon, Micky Conroy and Kieran Donaghy sure owe their respective Counties nothing. I also like the idea of the GAA Rankings bit, it’s a great way of keeping up to speed with all the goings on in other Counties and how they’re shaping up for the Championship. Congrats WJ. I’ve only been here for the last couple of years but its now my first destination when it comes to Mayo GAA. Hard to believe its been 8 years. Time is surely flying. I think it was March just after you started the site that I came across it. Been my first port of call nearly every day since! Keep up the great work WJ. So you were one of the 18 who visited that day in April 2007, Mick – only 17 more left to identify! It’s truely brilliant WJ, as it also helps to put names to faces we see at matches all the time, like Mayomick, Annmarie and Mayomad. All class people. I remember the latter and her very sad story. The first time we met, it was like meeting an old friend.We may have these silly handles, but it wouldn’t always take Colombo to identify us. Hoping to see ye all in Castlebar on Sunday . are going about their business keep up the good work. This place is just something else. I was a long-time lurker and reader before I plucked up the courage to post here. How it has changed since then, yet it has managed to retain everything that still makes it the first port of call every single morning. Reading that first match report made me feel very nostalgic. Even back then we were raw after a battering the previous September but the optimism shines through in the match report. Little did we know what lay ahead – times of utter despair, then hope, then elation (and then a bit more despair!). What a journey it has been and continues to be. Keep up the great work WJ – and the rest of you too. Per ardua ad astra. WJ, it could be your motto and that of Mayo. Thanks for your hard work over the years. Fair play WJ it’s an incredible achievement from such humble beginnings. Keep up the good, no, great work. Up Mayo! 10, 000 hits is a superb achievement. I find the pre/during n post match experience is enhanced hugely reading n thinking of all the debate there will be. Great work WJ. I, like Anne-Marie said above, was a long time lurker before I put keyboard to blog. The blog is like new milk, you can’t beat it. Well done WJ, it’s crazy how the site has developed since. I think I just missed out on being one of the “anointed 18”, I’m sure I first posted just before our first championship game that summer (sometime in May I’d imagine). Frightening to think that was 8 years ago, you’re making us all feel ancient! The loss to Derry that year in the qualifiers was one of the truly low points following Mayo in recent years, I’d say only Longford was worse.